I want to read more classics. I really do. The trouble is I get caught up in the newest and brightest of the book world and the classics get put aside for another day. And put aside again, and again, and again. It’s a shame, really. This month for the book club at work, one of my coworkers picked Jane Eyre. Typically they pick books I have ZERO interest in reading, so I pull the “Oh I can’t make it, sorry!” card and sit it out. With the exception of Gone Girl and The Book Thief, they are just not into the same books I am. (I picked Where Things Come Back and only my awesome coworker Jaime liked it. So obviously they are not my people.) And I know that book club is supposed to stretch your horizons and all that, but can we agree that when your TBR is as big as most of ours are, it’s okay to say no to books that don’t hold interest? Thank you! Anyway, I decided that this month I’d give Jane Eyre a try because I have the motivation with book club and it’s free on my Kindle so really, I’ve got nothing to lose! I was really intimidated because I’m such an Austen fan and for some reason I thought you could only like Austen or Bronte (I haven’t read anything by either Bronte sister before). So basically I am LOVING Jane Eyre. I’m all about getting absorbed in this classic. I’m sneaking it at work. I’m reading in bed until I fall asleep. I’m only at 10% of the book and I’m absolutely adoring Charlotte Bronte’s writing. It’s slow and deliberate and incredibly detailed, but never boring. Exactly what I adore about classic literature! Even though I know the story from seeing a play, I’m still stoked to read about it! Which got me thinking - are there classics you read that you didn’t expect to love but totally adored? Or are there classics you thought you’d adore and ended up giving up on? Do share! Quite often I get caught up in the hype of new books, and classics in comparison just aren't as exciting. I didn't expect to like The Count of Monte Cristo – now it’s one of my favourite books ever, whereas I’m a massive Charles Dickens fan but just can’t get into Bleak House at all. I really want to read Monte Cristo too! And I've heard Dickens is hit or miss, so I'll be interested to give him a try sometime too! I just have to say that I, too, could not get into Bleak House. I did actually read the whole thing for a read-along I participated in, but I could not have finished it otherwise. Seriously! That book was so dense! Jane Eyre is my absolute favorite classic. I am so glad to hear you are loving it. Classics are important to read now and again. There are many I still need to read and I've vowed to throw them in here and there between my current reads. I just tackled Anna K. It wasn't my favorite but I'm glad I read it. Keep me posted on Jane. This is a great post! And I feel very much the same about book groups. Because I have so much to read, I skip out if it's not a book that interests me. I also used to read a lot more classics before I started blogging. Now I feel like I have to keep up the pace, and though I love classics - especially Brit lit - I generally read them a lot slower than YA books, so haven't been investing the time. I LOVE Jane Eyre and I'm also an Austen fanatic, so I don't think there's a rule about loving one or the other. I have thus far avoided Wuthering Heights (though I know the story), and I just can't fathom liking that book. But I did really enjoy The Tenant of WIldfell Hall by Anne Bronte. Also loved North & South by Elizabeth Gaskell (the video series is excellent too), and I was surprised that it was as good as it ended up being. I read several Dickens in high school and never connected, probably because my English teacher beat them to death. But I read Bleakhouse a few years ago and thought it was amazing - though that TV series is also pretty fantastic. Also I went through a big Thomas Hardy period where I read all of his books, and almost none of them end happily, so I don't know how I managed it. See all of these are British Lit. I need to expand my horizons! I have a big fear of American classics. Books like The Great Gatsby I have yet to tackle. I've also not read any Russian Lit books, so I really should try to get reading classics again! Thank you for all these recommendations! Hello there TBR growth! I haven't tackled any Russian Lit yet either (well, not including Shadow and Bone :P) but am SO curious to do so! Do you have a book in mind? 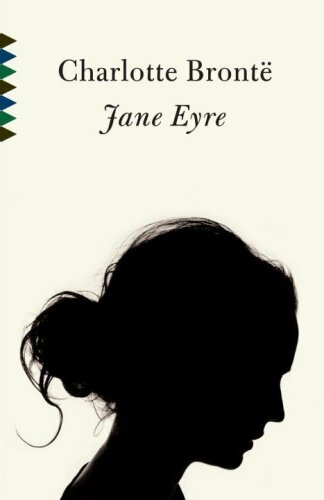 Jane Eyre is one classic that has always interested me! I should get to reading that one soon! One classic I remember fondly is Great Expectations. It was the first book I read by Charles Dickens, and I didn't expect it to be as good as it was! It completely tore me apart while reading,and I felt for every one of the characters. Brave New World is a classic I read recently for school, and it was great! I loved it! So glad you like Jane Eyre so far! Yay! I'm so glad you like it! I have so much love for Jane Eyre! And I didn't expect to love The Count of Monte Cristo as much as I did, it's huge and took me a long time to finish but totally worth it! I read and loved loved loved Huck Finn in high school - and I thought I'd hate it. But it was hilarious and had some amazing messages. I really want to read more classics soon! I think you make some very valid points, Lisa. It's so damn easy to get caught up in the newest shiniest thing on the shelf that we forget about older, more tried-and-true books (particularly the classics). It isn't until you start reading them that you remember exactly why they're such a mainstay in the first place. I always try to make it a point to remember that and pick one or two up in the course of each year. I haven't read anything by Austen or the Bronte sisters (gasp!) but I do have Wuthering Heights and Pride & Prejudice sadly sitting on my shelf. I think part of the reason I'm afraid to pick them up is that I have very high expectations and I just don't want to get bored by them (or maimed by Austenites if I didn't like it). So yeah. I've just gotta man up and stop the excuses and start reading them more! I'd have to say, I'm a HUGE Shakespeare fan (he still counts!) and I loooooved Dracula, Frankenstein and To Kill A Mockingbird. I HATED The Red Badge of Courage. Ugh. OH YAY FOR THE CLASSICS I'M SO HAPPY YAYYY!!! I love the classics and since book blogging, I found that I hadn't been reading them like I used to. This year, I aimed to fix that. I didn't set a number-goal, but I decided that I would try to always have a classic book cooking in the background somewhere. I just finished Anna Karenina by Leo Tolstoy (it ONLY took me two months, gah) because I really wanted to watch the movie and whatevs motivation I needed, I'll take it. So I audiobooked that doorstopper while following along in print. Honestly, I didn't think I'd love it to begin with. I mean, it's looong. But I took my time at it and never rushed myself. I found a friend that loved the book so I could discuss it with her as I went along. And I reminded myself that I was doing this for myself so I wouldn't get frustrated if I took some time off - and when I finished I literally threw my hands up in the air like it was some huge accomplishment or something. My next classic will be Pride and Prejudice - like some of the others that have commented here, I am *not* necessarily an Austen fan because I haven't really spent time reading her work. But I have an audiobook and I have a Kindle book. So we'll see how it goes, right? I do tend to love a lot of modern classics, which I totally think counts as well. But I want to go back and also read some of the classics that I had to read while I was in school and write papers on and stuff, but without the pressure of papers and all of that. I want to enjoy the stories on my own terms. I think that some of the stories that I didn't *love* back then, I might love now. Sorry to get rambly. But I do really love the classics and I'm glad to see them making a comeback in the blogging community, at least in the circle of blogging friends that I have. I'm about to dive headfirst into classics when I start reading Persuasion! I was intimidated enough that I put off reading Pride & Prejudice (I know!) till 2010 - only to discover I LOVED it. I devoured Sense & Sensibility right after too. Even though it's definitely wordy, I love it. I love the storytelling. I think they're classics for a reason!